Administrative Law Judge (ALJ), Richard T. Breen, Office of Administrative Hearings (OAH), Special Education Division, State of California, heard this matter in Rancho Cucamonga, California on February 6, 7, and 8, 2007. Petitioner (Student) was represented by Ellen L. Bacon, Attorney at Law. Student’s mother (Mother) attended the hearing on all days. Respondent, Etiwanda Unified School District (District), was represented by Maria E. Gless, Attorney at Law. Sylvia Kordich, Administrator of Special Programs for the District, and Jean Martin, Ph.D., Program Manager for the West End SELPA, attended the hearing on all days. Student filed a First Amended Request for Due Process Hearing on June 6, 2006. On July 19, 2006, at the request of the parties, the hearing was continued to February 6, 2006. At the hearing, the parties requested, and were granted, permission to file written closing arguments. Upon receipt of written closing arguments, the matter was submitted and the record was closed on February 16, 2007. 2. Was the District required to assess Student in the area of occupational therapy (OT) after September 2005? 3. Is Student entitled to compensatory education services, generally in the areas of academics, cognitive therapy and speech and language services, from April 2005 to the present? Student contends that at the time of individualized educational program (IEP) team meetings held on April 14, 2005; December 1, 2005; February 16, 2006; and March 27, 2006, he was eligible for special education and related services under the category of SLD. In particular, Student contends that he has an auditory processing disorder and is eligible under the SLD category based on the results of standardized tests of intellectual ability and academic achievement, the opinions of a psychologist and speech pathologist, classroom performance and other information including parent and teacher observations. The District disagrees, contending that Student cannot demonstrate the required severe discrepancy between intellectual ability and academic achievement. Student further contends that he is entitled to an OT assessment because the District was on notice as of September of 2005, that Student had difficulty with handwriting, and the notes from a December 1, 2005 IEP team meeting state, “[Mother] would like [Student] to be screened/tested for LSH [language speech and hearing] and occupational therapy. Referrals will be made.” The District disagrees, contending that no OT assessment was required because OT is a related service and not an eligibility category. The District further contends that an OT screening by District personnel satisfied any duty it had to assess Student in this area. Student’s final contention is that he is entitled to compensatory education in academics, cognitive therapy and speech and language services, from April 2005 to the present. The District contends that an award of compensatory education is not required because Student is not eligible for special education. 1 Student’s First Amended Due Process Complaint alleged that Student was eligible for special education under the categories of specific learning disability or other health impairment. At the prehearing conference, Student’s counsel clarified that other health impairment eligibility would not be an issue at hearing. 2 The RTI method of determining SLD is not a test or procedure that must be conducted with every child who has a processing disorder, but instead is a way that a local education agency may determine eligibility based on an underachieving child’s response to scientific, research-based interventions conducted in the classroom. “When determining whether a child has a specific learning disability . . . a local educational agency shall not be required to take into consideration whether a child has a severe discrepancy between achievement and intellectual ability in oral expression, listening comprehension, written expression, basic reading skill, reading comprehension, mathematical calculation, or mathematical reasoning.” (20 U.S.C. § 1414(b)(6)(A); see also 34 C.F.R. 300.309 (b); Ed. Code, § 56337, subd. (b).) Instead, “a local educational agency may use a process that determines if the child responds to scientific, research-based intervention as a part of the evaluation procedures . . . .” (20 U.S.C. § 1414(b)(6)(B); see also Ed. Code, § 56337, subd. (c).) Contrary to Student’s argument in his closing brief, the above statutes do not equate to a change in the substantive definition of SLD that eliminated the requirement of a “severe discrepancy” between academic achievement and intellectual ability. Instead, as noted above, Education Code section 56337 merely permits a local education agency to use the RTI method as an alternative to the “severe discrepancy” method when determining SLD eligibility. Student presented no evidence that he was eligible for special education using the RTI method. 3 Even assuming Student were to make such a contention, Factual Findings 7, 8, 11, 12, 13, 19, 21, 51, and 52, demonstrate that at no relevant time does a comparison of standardized tests of intellectual ability and academic achievement reveal the required severe discrepancy. 4 At hearing, District attempted to demonstrate that Stowell did not possess the teaching credentials that are reflected on her resume by presenting a document purporting to reflect an unsuccessful search for Stowell’s credentials on the California Commission on Teacher Credentialing website. The ALJ took administrative notice that such a website existed, but the document was not admitted into evidence. Notably, the document on its face indicated that credentials obtained prior to 1989 may not appear on the website. In its closing brief, the District attempted to submit additional website printouts on the issue of Stowell’s credentials. However, because no foundation for these documents was established, and the documents were submitted after the completion of taking of evidence, the District’s additional documents on this point have not been considered. In light of the above, and Stowell’s demeanor, which revealed that she freely admitted the limitations of the services provided by the Stowell Learning Center, Stowell’s testimony regarding her education and credentials was credible. 5 Dr. Morris explained that a standard score was based on a score of 100, with a standard deviation of 15. A score of 90 was average, whereas a score greater than 110 was above average. 6 Dr. Morris’s diagnosis was also supported by testing performed in January 2007, one month prior to hearing. At Mother’s behest, Student was independently assessed by Marianne Weber (Weber), a licensed speech pathologist. Weber’s testing yielded the following standard scores: Peabody Picture Vocabulary Test – 85; Listening Comprehension Test, Second Edition – 65, with subtest scores of Main Idea – 79, Details – 62, Reasoning – 63, Vocabulary – 62, and Understanding Messages – 88; Language Processing Test, Third Edition – 69, with subtests scores of Associations – 63, Categorization – 74, Similarities – 73, Differences – 68, Multiple Meanings – <69, and Attributes – 80; Comprehensive Test of Phonological Processes – 69; Receptive One-Word Picture Vocabulary Test – 82; and Expressive One-Word Picture Vocabulary Test, on which Student achieved a low-average standard score of 85. At hearing, Weber stated that while her testing indicated an auditory processing disorder, she was not qualified to diagnose an auditory processing disorder. Because Weber was not qualified to diagnose auditory processing disorders, and her report was never shared with the District until hearing, her opinions are of no weight in determining whether Student was eligible for special education at the time of the IEP meetings. 7 This Decision is limited to the facts of the instant case and nothing in this Decision should be read as approving of the District’s “policy” of not conducting OT assessments until a determination of special education eligibility has been made. 1. Student is 9 years old and resides within the geographical boundaries of the District. Student lives with his parents, a twin brother and two other siblings. 2. Student attended the private Upland Christian School (Upland Christian) for preschool, kindergarten, and first grade. During first grade at Upland Christian in the 2004-2005 school year, Student’s teacher Melecia Bronner (Bronner), recommended to Mother that Student be assessed for special education because Student was struggling academically and exhibited behavior issues with attention and frustration. In February 2005, Mother contacted the District to request an assessment for special education eligibility. 3. IEP team meetings regarding special education eligibility were conducted on April 14, 2005; December 1, 2005; February 16, 2006; and March 27, 2006, none of which resulted in a finding of special education eligibility. 4. Student contends that he is eligible for special education under the category of specific learning disability (SLD) based on an auditory processing disorder. SLD eligibility may be found by either of two methods: the “severe discrepancy” method or the response to intervention (RTI) method.2 There are two factors to consider in determining whether a child has an SLD under the severe discrepancy method: 1) Does a severe discrepancy exist between the child’s intellectual ability and his or her academic achievement; and 2) Does a child have a disorder in one of the basic psychological processes such as auditory processing. If the answer to both questions is “yes,” the child is considered to have a SLD. A determination must then be made regarding whether, as a result of that SLD, the child needs special education. Generally, the decisions of an IEP team are judged in terms of what was reasonable at the time of the IEP meeting. 5. There are two ways to demonstrate the required severe discrepancy for purposes of SLD eligibility. First, a severe discrepancy may be demonstrated by comparison of “a systematic assessment of intellectual functioning” and “standardized achievement tests” which demonstrates a difference in standard scores greater than 1.5 multiplied by the standard deviation. Student does not contend he can demonstrate the required severe discrepancy using this method.3 Second, when standardized testing does not reveal a severe discrepancy, a severe discrepancy may still be found by evaluating: 1) data obtained from standardized assessment instruments; 2) information provided by the parent; 3) information provided by the pupil’s present teacher; 4) evidence of the pupil’s performance in the regular and/or special education classroom obtained from observations, work samples, and group test scores; 5) consideration of the pupil’s age, particularly for young children; and 6) any additional relevant information. In the instant case, the second method of demonstrating the required severe discrepancy will be applied to determine whether Student was eligible under the SLD category at each of the four IEP team meetings that were held. 6. On March 21, 2005, Student was assessed by District School psychologist Sue Ann Pittman (Pittman). Pittman obtained a bachelor’s degree in psychology from California State University, Long Beach in 1994, and a master’s degree in counseling from the University of LaVerne in 1997. Pittman has worked for the District since January 2002. Pittman has a current pupil personnel service credential. Pittman was trained in the administration of standardized tests and performs approximately 100 assessments per year. Pittman explained that in addition to diagnosing conditions, school psychologist also have expertise in applying the eligibility criteria for special education that are set forth in the Education Code. Pittman also explained that while she was competent to identify auditory processing disorders, a diagnosis of central auditory processing disorder would require more extensive testing from an audiologist. Pittman was credible given her qualifications as a school psychologist and her straightforward, matter-of-fact demeanor. 7. Pittman administered the Wechsler Intelligence Scales for Children, Fourth Edition (WISC-IV). Pittman described the WISC-IV as a comprehensive intelligence test that included both verbal and non-verbal tests. According to Pittman, the verbal tests revealed information regarding vocabulary, language development, auditory processing, abstract reasoning, common sense and social judgment. The non-verbal portion of the test measured how a child solves problems without verbal information. The WISC-IV also measures fluid intelligence (ability when presented with unfamiliar tasks), working memory (ability to recall), and processing speed. Pittman had administered the third edition of the WISC approximately 200-300 times, and at the time she assessed Student had administered the then-new WISC-IV approximately 20 times. 8. Pittman’s administration of the WISC-IV yielded the following standard scores: Full Scale – 78; Verbal Comprehension – 83; Perceptual Reasoning – 71; Working Memory – 91, Processing Speed – 91. Pittman interpreted these results as demonstrating that Student’s overall intellectual ability was in the borderline deficient range when compared to same-age peers, such that Student would have a harder time learning new concepts than other students. Student’s Verbal Comprehension standard score of 83 led Pittman to conclude that Student’s auditory processing skills were in the low average range. Pittman noted that Student’s scores in the area of visual-motor coordination as reflected in the Perceptual Reasoning subtest were lower than Student’s verbal comprehension and short-term auditory memory skills as reflected in the Verbal Comprehension and Working Memory scores. Pittman observed that Student did not have a problem understanding directions during this test. 9. When auditory processing is a concern, Pittman typically uses a combination of the verbal portions of the WISC and her observations to screen for whether further auditory processing tests should be given. Had Pittman noted any indication of an auditory processing disorder she would have conducted further tests such as the Test of Auditory Processing Skills (TAPS). 10. Pittman’s administration of the Developmental Test of Visual-Motor Integration and Visual Perception (a test of copying geometric forms and identifying similar geometric forms), yielded the following “low average” standard scores: Visual Motor Integration – 86 and Visual Perception – 84. 11. Pittman administered the Wide Range Achievement Test – 3 (WRAT-3), to test Student’s academic achievement. The WRAT-3 yielded the following standard scores: Reading – 109; Spelling – 106; and Arithmetic – 82. Pittman interpreted these results as showing Student to be performing in the average range in reading and spelling and the low-average range in arithmetic. 12. A Woodcock-Johnson Achievement Battery – Third Edition (WJ-III), Form B, was administered to Student by District resource specialist Elizabeth Reese (Reese) on March 3, 2005. Reese’s administration of the WJ-III yielded the following standard cluster scores: Oral Language – 75; Broad Reading – 91; Broad Math – 91; Math Calculation Skills – 92; Academic Skills – 106; and Academic Applications – 89. Reese’s administration of the WJ-III yielded the following subtest scores Spelling – 113, Writing Samples – 93. Reese’s WJ-III score report did not reflect a score for the Story Recall subtest, and at hearing Pittman did not recall Student’s Story Recall results. Reese did not testify at hearing and no evidence was introduced at hearing to explain why no score was reported in this area. 13. Pittman created a graph of Student’s results on the District’s psychoeducational testing. The graph demonstrated that Student scored higher in verbal ability than in non-verbal ability on measures of intellectual ability and that Student’s standard scores of academic achievement in reading and spelling exceeded his standard scores of intellectual ability. Pittman’s graph demonstrated that as of the April 14, 2005 IEP team meeting, Student could not demonstrate a severe discrepancy between intellectual ability and academic achievement based on the results of standardized tests. 14. As part of her assessment in March of 2005, Pittman obtained information from Bronner, Student’s first grade teacher at Upland Christian, who reported that Student was performing below grade-level, had difficulty focusing, had a short attention span, had difficulty following directions in class and was restless, talked excessively in class and destroyed property, and needed assistance with transitions. Bronner also reported that Student worked well with peers and was cooperative. Bronner reported implementing strategies of small group instruction, correcting work one-on-one, checking Student for understanding, and pull-out support from a resource specialist. Pittman did not observe Student in class at Upland Christian. 15. In March 2005, Pittman administered the Conners’ Rating Scales to Mother and Bronner. The Conners’ Rating Scales revealed that Student displayed characteristics that were consistent with children who had been diagnosed with ADHD. 16. Based on her assessment, Pittman concluded that Student was not eligible for special education under the category of specific learning disability because her test results did not reveal a severe discrepancy between Student’s intellectual ability and academic achievement. Pittman’s conclusion was the same, even when she considered academic achievement assessments administered at the Stowell Learning Center as set forth below. 17. On April 5, 2005, while in first grade at Upland Christian, Student was evaluated at Stowell Learning Center. Jill Stowell (Stowell) founded the Stowell Learning Center to provide remediation services for students with learning disabilities. Stowell has a master’s degree in education, with an emphasis in learning handicaps. Stowell obtained a multiple subject credential in 1977, and in 1982, obtained a learning handicaps credential and a resource specialist certification.4 Stowell was certified to provide training in proprietary learning systems such as Samonas Sound Therapy, Master the Code, Discovery Math, Learning Ears, and Infinity Walk, among others. Stowell did not purport to be able to diagnose learning disabilities or determine special education eligibility. Instead, she described her role as determining what is preventing a particular student from being an efficient learner and addressing those deficiencies. 18. Stowell “probably” conducted an intake interview with Mother, but had no specific recollection of doing so. Stowell did not personally administer or observe any assessments of Student. Stowell did not draft the “Functional Academic and Learning Skills Evaluation” document summarizing the assessments, but reviewed it before signing it. The assessments given to Student at Stowell Learning Center were administered by a “director of assessment” who possessed a bachelor’s degree, but no teaching credentials. The “director of assessment” did not testify at the hearing. Stowell herself trained the “director of assessment” to administer the standardized tests given to Student. The above facts call into question the credibility of Stowell’s recommendations and the results of Stowell Learning Center’s standardized test results. 19. Stowell Learning Center’s administration of the Woodcock Reading Mastery Test – Revised, yielded the following results: Word Identification – .4 years above age-level; Word Attack – .5 years above age-level; and Passage Comprehension – .5 years below age-level. Stowell Learning Center’s administration of the Gibson Cognitive Test Battery yielded the following results: Processing Speed – .8 years below age-level; Working Memory – .7 years below age-level; Visual Processing – 1.4 years above age-level; Word Attack – .2 years above age-level; Auditory Analysis – 3.8 years above grade-level; Logic and Reasoning – 1.2 years below grade-level. Stowell interpreted these results as showing that Student had difficulty remembering things he heard and saw, and had confusion with visual detail. Stowell noted that Student appeared to have had more difficulty when asked to read and decode complex syllables. 20. Stowell Learning Center’s administration of the TAPS – Revised (TAPS-R), yielded an Auditory Perception Quotient standard score of 72 and the following subtest standard scores: Auditory Number Memory (Forward) – 72; Auditory Number Memory (Backward) – 86; Auditory Sentence Memory – 84; Auditory Word Memory – 83; Auditory Interpretation of Directions – 92; Auditory Word Discrimination – 98; and Auditory Processing (Thinking and Reasoning) – 72. Stowell interpreted these results as indicating that Student’s memory skills were consistently weak, but that his auditory digit-span memory was consistent at three digits. Stowell’s interpretation and the test results themselves are questionable because Stowell had no specific training in administering the TAPS-R, just general training in how to administer standardized tests. 21. Stowell Learning Center’s administration of the Wide Range Achievement Test – 3 (WRAT-3), yielded the following standard scores: Spelling – 113 and Arithmetic – 92. Stowell did not know whether the District had administered this test to Student prior to Stowell Learning Center and if so, she would not have administered it. 22. Stowell Learning Center’s administration of the Gray Oral Reading Test – IV (GORT-IV), which gives information about reading skills, yielded an overall standard score of 70. 23. Stowell Learning Center’s administration of the Receptive Express Observation test, which tests digit span with visual or auditory input and verbal or written output, yielded the following results, expressed in number of digits recalled: Visual-Vocal – 3 to 4; Visual-Motor – 3 to 5; Auditory-Vocal – 3 to 4; and Auditory-Motor – 3 to 5. Stowell interpreted these results as showing that Student had a more difficult time organizing information when required to verbally respond and noted that the typical student has a five digit span. 24. As part of the April 2005 Stowell Learning Center assessment, Mother completed the Language and Listening Questionnaire and the Learning and Behavior Rating Scale regarding Student. The Learning and Behavior Rating scale indicated a “significant” problem with attention and a “likely” problem with learning skills. The Language and Listening Questionnaire indicated that Student’s most impacted areas were understanding what people say, listening skills, oral communication skills and academics. 25. Overall, Stowell concluded that Student demonstrated disorientation and “symbol confusion” when performing reading tasks and weakness in listening and auditory processing skills that would impact Student’s ability to learn. The observations of the examiner and the examiner’s conclusions based on informal testing that are set forth in the “Functional Academic and Learning Skills Evaluation” as well as Stowell’s recitation of those observations and conclusions offered at the hearing were not credible. Stowell was not present when the tests were given, the “director of assessment” was not established as being qualified to interpret standardized testing or to render opinions regarding a child’s educational performance based on observation, Stowell did not author the evaluation herself, the “director of assessment” did not testify at the hearing, and during Stowell’s testimony she did not appear to be testifying from independent recollection, but instead continually referred to the evaluation. 27. Stowell’s recommendations regarding Student’s education are not credible given that Stowell did not consider any standardized test results regarding Student’s intellectual ability, Stowell did not consult with Student’s teacher at the time prior to making recommendations, all recommendations were for Student to participate in proprietary educational systems that Stowell had a business interest in promoting, and Stowell did not individually make the recommendations, but instead made them in conjunction with the “director of assessment” whose qualifications to make such recommendations were not established at hearing. 28. At hearing, Stowell testified that she saw “good changes” in Student’s auditory memory after 20 weeks of Auditory Stimulation Training, specifically an increase in auditory memory from a three-digit span to a four-digit span. In addition, Stowell saw a grade-level growth in accuracy, rate and fluency as measured by the GORT as well as Student exhibiting better awareness of “himself and what he was doing.” Stowell’s testimony on these points was not credible because no test results supporting Stowell’s testimony were presented and Stowell admitted that she only occasionally worked with Student. 29. The kindergarten teacher at Upland Christian told Mother that Student struggled with attention, understanding rules, awareness of the personal space of others, and academic progress. 30. Bronner taught Student’s first grade class during the 2004-2005 school year at Upland Christian. Bronner had 20 years experience as a teacher and was credentialed to teach in California public schools and Christian schools. During her teaching career, Bronner taught numerous mainstreamed students with learning disabilities. 31. Bronner described Student’s classroom behavior as impulsive and lacking in focus. Student also lacked awareness of other people’s personal space. Academically, Bronner observed that Student did not retain the materials and concepts that were taught. 32. By January 2005, Student was not performing up to grade-level. Upland Christian used an “accelerated” curriculum and expected all Students to be on grade-level. Bronner suspected that Student had a learning disability and recommended to Student’s parents that Student be evaluated for special education eligibility. 33. 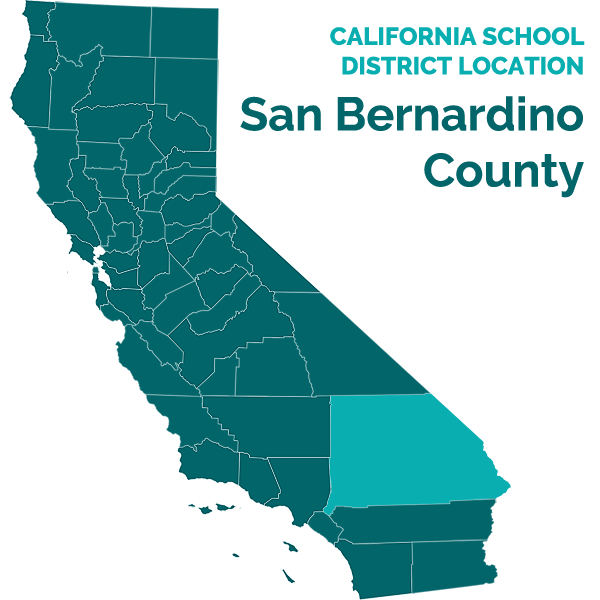 At Bronner’s suggestion, Student was provided “pull out” resource specialist assistance in language arts for four days per week, 30-to-45 minutes per session, during first grade at Upland Christian. 34. Bronner recommended that if Student were to remain at Upland Christian, he should repeat first grade. Bronner’s recommendation was overruled by Student’s parents and the Upland Christian administration and Student “minimally” passed first grade. 35. An IEP team meeting was held on April 14, 2005, to consider whether Student qualified for special education under the category of SLD. The IEP team considered that Student was in danger of retention in first grade at Upland Christian and considered Stowell’s report, as well as Pittman’s report. The IEP team concluded that Student was not eligible because: 1) standardized testing did not reveal a severe discrepancy between Student’s intellectual ability and academic achievement, particularly where Stowell had not measured Student’s intellectual ability and Stowell’s measures of academic achievement were consistent with Pittman’s; 2) Student’s processing ability was commensurate with his intellectual ability; and 3) Student would be able to function academically in a grade-level classroom. Although she signed the April 14, 2005 IEP indicating agreement with the team’s conclusions, Mother testified that she did not agree with the ineligibility determination. 36. Factual Findings 6 through 34 support a finding that Student did not demonstrate a severe discrepancy between academic achievement and intellectual ability and a qualifying diagnosis of a disorder in a psychological process such as auditory processing disorder as of the April 14, 2005 IEP team meeting. In particular, Pittman’s testing, plus the information available regarding Student’s progress at Upland Christian, did not demonstrate the required severe discrepancy in light of Student’s low intellectual ability and adequate academic performance on standardized tests and in class. This is particularly true where Stowell Learning Center’s assessments had not included any standardized testing of Student’s intellectual ability. 37. As set forth in Factual Findings 6 through 35, at the time of the December 1, 2005 IEP team meeting, the IEP team had available to it the information obtained from assessments conducted by Pittman and Stowell, as well as all previous information obtained from Mother and Bronner. No additional standardized assessments of intellectual ability and academic achievement were performed prior to this IEP team meeting. 38. Student attended the District’s Solorio Elementary School (Solorio) for second grade during the 2005-2006 school year. Carrie Pennebaker (Pennebaker) taught Student’s second grade class. Pennebaker had a bachelor’s degree in liberal studies and has been a credentialed teacher since 2003. Student began attending Pennebaker’s class in October 2005, after Mother requested that Student be transferred there from another second grade classroom where he had begun the school year. Pennebaker observed student to be “antsy” in class, i.e., he had trouble staying in his seat, paying attention to work, waiting to be called on and “tapping” his neighbors to get their attention. 39. In the first trimester of the 2005-2006 school year, Student achieved classroom grades of “satisfactory” in reading, “unsatisfactory” in writing based on Student’s punctuation, grammar and mechanics, and “needs improvement” but very close to satisfactory in mathematics. By the second trimester, Student was “satisfactory” in all areas, except mathematics, in which he needed improvement in money concepts. While in Pennebaker’s class, Student received resource specialist assistance in mathematics as an “at risk” student. 40. Student received educational therapy at Stowell Learning Center for five-to-six hours a week beginning in April 2005. Between September 14, 2005, and November 16, 2005, Student was absent 11 times for part of the school day in order to attend his sessions at Stowell Learning Center. At the time, Solorio Assistant Principal Donna J. Brantley-Mawhorter was aware that this was the reason for Student’s absences. Given that Student was attending an educational program with the tacit approval of Solorio personnel, this fact does not demonstrate that Student’s absences contributed negatively to his academic performance. 41. In April 2005, while at Upland Christian, Student had taken the Stanford Achievement Test, 10th Edition, which was specifically designed for use in Christian schools. Student achieved a “below basic” standard score of 479. The results of the Stanford Achievement Test are not a credible indicator of Student’s academic achievement because the standard score includes subtests of bible knowledge that are not part of a public school curriculum and the test is not normed against the general population, only students at other Christian schools. 42. An IEP team meeting was held on December 1, 2005, to review the results of the April 14, 2005 IEP team meeting in light of Student’s classroom performance at Solorio. Overall, Pennebaker reported that Student was making progress in the classroom. The IEP team concluded that Student was not eligible under the category of SLD because Student was performing proportionate to his ability level and had no major processing deficit. 43. Factual Findings 37 through 42, support a finding that Student did not demonstrate a severe discrepancy between academic achievement and intellectual ability or a qualifying diagnosis of a disorder in a psychological process such as auditory processing disorder as of the December 1, 2005 IEP team meeting. In particular, Pittman’s testing had demonstrated that Student did not demonstrate a severe discrepancy between intellectual ability and academic achievement on standardized tests, and all information indicated that Student was making academic progress commensurate with his intellectual ability while in Pennebaker’s class at Solorio. 44. As set forth in Factual Findings 6 through 42, at the time of the February 16, 2006 IEP team meeting, the IEP team had available to it the information obtained from assessments conducted by Pittman and Stowell, as well as all previous information obtained from Mother, Bronner and Pennebaker. No additional standardized assessments of intellectual ability and academic achievement were performed prior to this IEP team meeting. 45. On January 31, 2006, Student was assessed by District speech and language pathologist Marilyn Swigart (Swigart) to determine if Student was eligible for special education under the category of language or speech disorder. Swigart obtained a bachelor’s degree in speech pathology from Syracuse University in 1965, and a master’s degree in communicative disorders from the University of California, Los Angeles, in 1971. Swigart is a licensed speech and language pathologist and has a certificate of clinical competence from the American Speech-Language-Hearing Association. Swigart was not employed as a speech pathologist between 1972 and 1992, 1998 and 2000, April 2000 to February 2001, and from June 2001 to March 2002. Swigart has been employed by the District since March 2002. 46. Swigart performed her assessment for approximately two and one- half hours in her office. At the time of the assessment, Swigart was not aware that auditory processing was a concern and was not aware of any services Student was receiving at the time. Swigart found that Student’s hearing and articulation were normal, and no evidence was introduced to the contrary at hearing. Swigart’s testing yielded the following standard scores: Receptive One-Word Picture Vocabulary Test – 86; Expressive One-Word Picture Vocabulary Test – 83; and Test for Auditory Comprehension of Language- 3 (TACL-3) – 83. Based on these scores, Swigart concluded that Student was not eligible for special education under the category of speech or language disorder because Student was not below the seventh percentile as required to meet the statutory eligibility criteria. Swigart’s test results are credible in light of Swigart’s education, experience and her straightforward demeanor when answering questions. 47. An IEP team meeting was held on February 16, 2006, to consider whether Student was eligible for special education under the categories of language, speech or hearing disorders. Swigart attended and discussed her conclusion that Student was ineligible for special education under the category of language or speech disorder. The IEP team agreed, concluding that Student was not eligible under the language or speech disorder category because Student did not score below the seventh percentile in two or more subtests of speech, language or hearing. 48. Factual Findings 44 through 47 support a finding that Student did not demonstrate a severe discrepancy between academic achievement and intellectual ability or a qualifying diagnosis of a disorder in a psychological process such as auditory processing disorder as of the date of this IEP team meeting. The purpose of this meeting was to discuss Student’s possible eligibility under the speech or language disorder category. Because the only new information at this meeting was Swigart’s speech and language eligibility assessment, and Student was continuing to make progress in Pennebaker’s second grade class that was proportionate to his intellectual ability, Student did not demonstrate that he was eligible for special education as of the date of this IEP meeting. 49. As set forth in Factual Findings 6 through 47, at the time of the March 27, 2006 IEP team meeting, the IEP team had available to it the information obtained from assessments conducted by Pittman, Stowell and Swigart, as well as all previous information obtained from Mother, Bronner, and Pennebaker. 50. In February 2006, Student’s parents had him assessed by Robin Morris, Psy.D. (Dr. Morris). Dr. Morris obtained her doctorate from the California School of Professional Psychology, and also possessed a master’s degree in psychology from Pepperdine University and a bachelor’s degree from the University of Southern California. Dr. Morris did a post-doctoral fellowship in which she was trained to administer psychoeducational assessments and interpret the results. Dr. Morris had ten years of experience in private practice. Approximately 70 percent of Dr. Morris’s practice involves testing for autism in children, while the remainder of her practice involves testing for other disabilities. Dr. Morris has conducted over 100 assessments for learning disabilities. 51. Dr. Morris’s administration of the WISC-IV yielded the following results, expressed in standard scores:5 Verbal Comprehension Index – 75; Perceptual Reasoning Index – 82; Working Memory Index – 88; Processing Speed Index – 78; and Full Scale IQ – 75. Dr. Morris specifically noted that there was “no significant meaningful difference between [Student’s] ability to reason with or without words” and that Student’s overall cognitive ability was in the “borderline range of intellectual functioning.” Dr. Morris did not think that Pittman’s prior administration of the WISC-IV led to a “practice effect” on Dr. Morris’s WISC-IV because sufficient time had passed and Student’s scores were not higher on the WISC-IV. 52. Dr. Morris’s administration of the WJ-III, yielded the following subtest standard scores: Letter Word Identification – 104; Reading Fluency – 92; Story Recall – below standard scores; Understanding Directions – 81; Calculation – 77; Math Fluency – 72; Spelling – 114; Writing Fluency – 90; Writing Samples – 81; Word Attack – 113; Picture Vocabulary – 81; and Oral Comprehension – 85. Student’s standard score in Story Recall indicated to Dr. Morris that she should also administer the TAPS – Third Edition (TAPS-III) to determine if Student had an auditory processing disorder. Dr. Morris noted that Student’s Oral Comprehension and Understanding Directions scores were also lower than Student’s other scores, but higher than Student’s Story Recall score. Dr. Morris thought that this result may be explained by the Oral Comprehension and Understanding Directions subtests containing visual cues. 53. Dr. Morris administered the TAPS-III, which is designed to measure the ability to perceive and process auditory stimuli. With the exception of Phonological Blending (how well the subject can synthesize a word given the individual phonemes) on which Student scored in the average range and Phonological Segmentation (how well a person can use phonemes correctly within words), on which Student scored in the low average range, Student’s scores on all subtests fell in the “low” range of standard scores between 60 and 75. 54. Dr. Morris reviewed Pittman’s report prior to generating her own. Dr Morris was critical of Pittman’s assessment and conclusions because Pittman did not administer a test like the TAPS-III, and according to Dr. Morris, the WISC-IV would not help with diagnosing an auditory processing disorder. 55. Dr. Morris also administered the Conners’ Rating Scales and the Devereaux Scale of Mental Disorders to Student’s parents, which yielded a result of no significant elevations in any subscales. The results of these tests led Dr. Morris to conclude that Student did not suffer from an attention deficit disorder. Further, these rating scales and observations of Student’s behavior led Dr. Morris to conclude that attention issues were not significantly impacting Student’s ability to learn. 56. Pennebaker reported to Dr. Morris that Student inconsistently displayed hyperactivity and distractibility in class and on some days would fidget at his desk. According to Dr. Morris, sporadic inattention was not consistent with attention deficit hyperactivity disorder, and is more likely evidence of a processing disorder. 57. Solorio resource specialist Reese reported to Dr. Morris that Student received resource specialist assistance because he was considered to be an “at risk” child and that Student showed difficulty with comprehension and required classwork to be explained to him in a way that he understood. 58. Dr. Morris formed the impression that Student’s cognitive potential was higher than that revealed by her testing. Dr. Morris’s impression is not persuasive evidence because she did not perform any follow-up testing to confirm her suspicions and her only contact with Student was during her two-hour assessment session. 60. Dr. Morris’s report made the following recommendations: 1) classroom accommodations such as reducing distractions, visual cues, having Student repeat information to make sure he understood it and providing a “buddy;” 2) resource room help with academics and a multi-sensory learning approach; 3) continue Stowell Learning Center for 5 hours per week; 4) an occupational therapy evaluation to address whether a “sensory diet” would benefit Student in the classroom; and 5) a “shadow” paraprofessional aid in school to assist with social exchanges with classmates. Dr. Morris’s recommendations are not persuasive because she conducted no classroom observation, her only contact with Student was during the two-hour assessment session, she had no knowledge of the District’s programs, has never visited Stowell Learning Center and has no knowledge about any research supporting the effectiveness of its methods. Moreover, Dr. Morris was incorrectly under the impression that Stowell Learning Center was staffed by people with master’s degrees, whereas the services were actually delivered by people with bachelor’s degrees who did not possess teaching credentials. Dr. Morris’s recommendation regarding a paraprofessional aid was not credible because there is nothing in Dr. Morris’s report, nor was any testimony elicited at the hearing, that peer social interaction on the playground or peer aggression on the playground is related to an auditory processing disorder. 61. In December 2005, Student’s hours at Stowell Learning Center were reduced to three hours per week for family financial reasons. By October 2006, Student stopped going to Stowell Learning Center altogether. 62. An overview of District assessments prepared by Pennebaker in February 2006 showed that Student was at or just below grade-level in all areas assessed except mathematics. The following tests had been administered: Basic Phonics Skills Test; Primary Spelling Inventory – Words Correct; Primary Spelling Inventory – Orthographic Features; Oral Text Passage Accuracy; Oral Text Passage Fluency; Oral Text Passage Comprehension; Reading Comprehension; Trimester Writing Assessment and Trimester Math Assessment. 63. By the time of the March 27, 2006 IEP team meeting, Pennebaker noted that Student was increasingly having difficulty paying attention, staying in his seat and waiting to be called on. 64. Student’s final second grade report card reflected third trimester grades of “needs improvement” in reading and writing, “good” in listening/speaking and health, and “satisfactory” in mathematics and history/social science. During the school year, Pennebaker had informally discussed with Mother that Student was at risk for possible retention in the second grade, but he was not retained. 65. In the spring of 2006, Student took the California Standardized Testing and Reporting (STAR) test. Student achieved a “below basic” score of 264 in English-language arts and a “far below basic” score of 206 in mathematics. 66. An IEP team meeting was held on March 27, 2006, to review the results of the independent educational assessment that Student’s parents had obtained from Dr. Morris. Although Dr. Morris concluded that Student had a central auditory processing disorder, the IEP team concluded that Student was not eligible under the category of SLD because Dr. Morris’s test results were similar to those of Pittman, and Student’s auditory processing test results were commensurate with Student’s ability. Any differences between Pittman’s and Dr. Morris’s academic achievement tests were not significant because the differences fell within the standard error of measurement. Dr. Morris’s test results from the TAPS-III did not equate to eligibility for special education because there was not a severe discrepancy between Student’s ability, even as measured by the TAPS-III and Student’s intellectual ability. 67. Factual Findings 49 through 66 support a finding that as of the March 27, 2006 IEP team meeting, Student had a qualifying diagnosis of a disorder in a psychological process such as auditory processing but could not demonstrate a severe discrepancy between academic achievement and intellectual ability. Dr. Morris’s standardized tests of Student’s intellectual ability and academic achievement were consistent with Pittman’s in that they did not demonstrate the required severe discrepancy. Moreover, the additional information from Pennebaker’s classroom observations and administration of District performance assessments and the STAR test showed that Student’s academic performance remained commensurate with his intellectual abilities. Does Student Require Special Education? 68. Generally, even if a child has a severe discrepancy between intellectual ability and academic achievement that is caused by a disorder in a basic psychological process, it still must be determined whether the child requires special education and related services. Here, because Student did not meet his burden of showing that he met the eligibility criteria for special education as of the IEP team meetings on April 14, 2005; December 1, 2005; February 16, 2006; and March 27, 2006, (see Factual Findings 36, 43, 48, and 67; Conclusions of Law 5 to 7), this Decision need not address whether Student requires special education and related services. 69. Student contends that the District should have conducted an OT assessment after September 2005, and failed to do so. In general, a student must be assessed in all areas of suspected disability prior to any determination regarding special education eligibility. 70. In Bronner’s first grade class at Upland Christian, Student had been provided with pencil grips and a slant board to help him with handwriting. Bronner had recommended to Mother that Student be assessed for special education because Student was struggling academically and exhibited behavior issues with attention and frustration. 72. In September 2005, Solorio Resource Specialist Reese spoke with the District’s licensed occupational therapist Emily Chavez (Chavez) regarding Student’s handwriting. According to Chavez, an occupational therapist can assess a child’s sensory-motor skills, daily life skills and fine-motor skills in the school setting to determine whether a child is unable to access his or her environment due to a deficit in motor skills or sensory processing. Sensory-motor problems may appear as attention problems, fidgeting or arousal. Chavez looked at writing samples from Student and recommended to Reese that Student use a slant board and pencil grip. Chavez has never observed Student. Chavez had no information that Student used a fisted grip, had sensory-motor problems, behavior problems or fidgeting in class. Student was provided with pencil grips and a slant board in Pennebaker’s second grade class at Solorio. 73. On December 1, 2005, an IEP team meeting was held to revisit the issue of whether Student was eligible for special education under the SLD category. Pennebaker attended the meeting. The IEP team considered work samples from Student. Pennebaker agreed with the IEP team that Student’s handwriting was legible. Pennebaker had no recollection of Student ever submitting illegible work, using a fisted grip to hold a pencil in class, or being clumsy. 75. Dr. Morris’s February 2, 2006 written report, which was not considered by the District until the March 27, 2006 IEP team meeting, recommended an OT assessment to determine if formulating a “sensory diet” in the classroom could improve Student’s behavior issues. As set forth in Factual Finding 60, Dr. Morris’s recommendations were not persuasive in light of her limited contact with Student. At hearing, Dr. Morris did not recall any concern about Student’s handwriting. Neither Dr. Morris, nor any other witness at the hearing, testified that an OT evaluation should be conducted if an auditory processing disorder is suspected. 76. At hearing, Mother testified that she wanted an OT evaluation primarily because of a concern that Student’s handwriting skills sometimes fluctuated. 77. At the March 27, 2006 IEP team meeting, Mother’s attorney asked about obtaining an OT assessment. The IEP team considered examples of Student’s handwriting and determined that it was legible. Pennebaker did not express any concern regarding Student’s handwriting. The IEP team reviewed Student work samples and concluded that Student’s handwriting was sufficiently legible to access the curriculum. 78. Other than occupational therapist Chavez consulting with resource specialist Reese, the District has never conducted an OT assessment of Student. Chavez and Solorio vice Principal Brantley-Mawhorter confirmed that the District’s policy is not to perform OT assessments until a student is deemed eligible for special education and related services. 79. Because there was no evidence at hearing that an OT assessment should be conducted if a Student is suspected of having an auditory processing disorder and Mother’s concern regarding an OT assessment related to handwriting quality, which the District addressed, the District did not fail to assess Student in all areas of suspected disability after September 2005. 80. Generally, a student who has been denied a free and appropriate education within the meaning of the IDEA may be entitled to the equitable remedy of compensatory education. 81. Student has not attended a District school since June 14, 2006. Other than evidence that Student attended Stowell Learning Center for between three and six hours a week from April 2005 to October 2006, and was being homeschooled, no evidence was presented regarding the details of Student’s education after June 14, 2006. No evidence was presented as to whether Mother wanted Student to return to Solorio if found eligible for special education. 82. Student’s parents paid a total of $11,584.31, for his programs at Stowell Learning Center between April 5, 2005, and October 1, 2006. 83. At hearing, Stowell recommended that Student continue in a program like that he had participated in at Stowell Learning Center for a minimum of three hours per week. Stowell’s testimony on this point was not credible given that Student had not been reassessed by Stowell since October 2005, Student had not attended Stowell Learning Center since October 2006, and Mother testified that Student was no longer going to Stowell Learning Center because Mother was looking at other options for treating auditory processing disorders. 84. Weber recommended that as of January 2007, Student “may benefit” from the following: 1) “the listening program, a music based auditory stimulation method that trains the brain to improve auditory skills needed to effectively listen, learn and communicate;” 2) the FastForWord Language Program, an intensive interactive computer strategy which trains the brain to interpret speech and language accurately at a normal rate of speech;” 3) “books on tape / CD through the Braille Institute in order to develop working auditory memory;” 4) “participating in the Earobics Program, a program which strengthens reading, spelling and language comprehension after the FastForWord Program;” and 5) “Visualize Verbalize” which trains the client to understand inference, details and comprehend the main idea of stories after the FastForWord Program.” Weber’s recommendations are not credible because: 1) at the time Weber assessed Student, she had no information regarding how Student was doing in his homeschool program and no evidence regarding Student’s homeschool program was presented at hearing; 2) Weber was not aware until the day she testified that Student’s intellectual ability was in the low range; 3) Weber candidly admitted that the recommendations in her report were not based on statutory criteria for special education, but instead were based on her general perception of what would “benefit” student in a clinical setting; and 4) Weber’s report and recommendations were never presented to District personnel until the due process hearing. 7. 34 Code of Federal Regulations part 300.309(a), states that an IEP team may determine that a child has a specific learning disability, if the “child does not achieve adequately for the child’s age or to meet State-approved grade-level standards” in one or more of the following areas: oral expression, listening comprehension, written expression, basic reading skill, reading fluency skills, reading comprehension, mathematics calculation and mathematics problem solving. Did the District deny Student a FAPE by failing to find him eligible for special education under the category of SLD? 9. Factual Findings 6 through 67, and Legal Conclusions 1, 2, 3, 5, 6, and 7, demonstrate that Student did not meet his burden of showing that as of the April 14, 2005; December 1, 2005; February 16, 2006; and March 27, 2006 IEP team meetings, he was eligible for special education under the category of SLD. Student’s parents are understandably concerned about maximizing Student’s potential, particularly in light of his intellectual abilities. However, although Student established that by the time of the March 27, 2006 IEP team meeting, he had been diagnosed with a central auditory processing disorder, more is required to be eligible for special education under the SLD category. Here, when all relevant evidence is considered, the evidence shows that Student’s academic performance is commensurate with his intellectual ability, such that he is not eligible for special education under the SLD category at this time. Was the District required to assess Student in the area of OT after September 2005? Is Student entitled to compensatory education services, generally in the areas of academics, cognitive therapy and speech and language services, from April 2005 to the present? Pursuant to California Education Code section 56507, subdivision (d), the hearing decision must indicate the extent to which each party has prevailed on each issue heard and decided. The District was the prevailing party on all issues presented.